It took me hours, no, days, no, make that years of waiting for the perfect formation and capturing it for historic purposes. Yeaaah. That’s it. Yeaah. In no way did I just take 2 quick shots and not realize how the buses lined up until I was writing this blog. Nah uh. Pft. 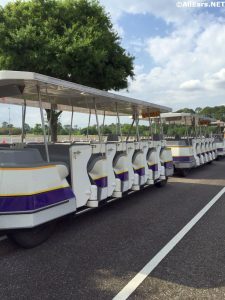 I sought … Continue reading "Rare Hidden Mickey Head Bus Synchronization"